Christmas in New York is enchanting. Americans love to decorate their homes, and shops extravagantly adorn their windows with festive decorations. The city is always beautifully illuminated but at Christmas, it’s like a fairy tale. Christmas Day is celebrated on the same day as in Australia and Christmas Eve is the night before. It is good to know that Americans do not celebrate Boxing Day, this is something typically Australian. What can you expect during Christmas? At Christmas, families come together to eat, drink and give each other gifts. Opening presents on Christmas Day is definitely the main event for American households. If you want to eat out, make reservations ahead of time: All restaurants are fully booked weeks, even months in advance. I recommend Philip Marie, Marseille or Bryant Park Grill. If you’re visiting New York with a larger group, Italian family restaurant Carmine’s is a nice place to go. Most shops, even big department stores, are closed on Christmas Day, so bare this in mind. On Christmas Day, many restaurants are fully booked as New Yorkers go out to have dinner. However, this is not the case for Christmas Eve. 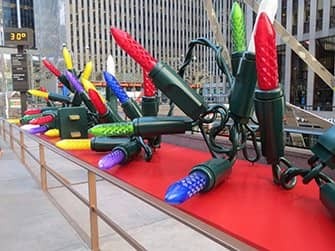 Are you in New York over Christmas? Then focus on Christmas Eve. Of course, it’s always worth trying to book a restaurant for Christmas day. However if you don’t get a table, go for dinner on Christmas Eve instead. Eric’s Tip: To be sure of a good dining experience, you can also book a Luxury Christmas Eve Dinner Cruise. During the dinner cruise you have a beautiful view of New York City and you can enjoy the food on board. 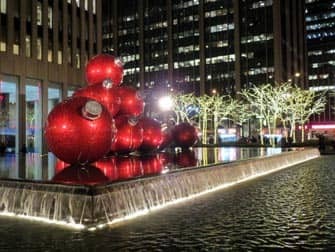 Another great option for Christmas Eve or Christmas Day is an evening of ice skating at Rockefeller Center with a rinkside dinner at The Sea Grill! On Christmas Day in New York, it’s nice to just take a walk around town. Take a stroll through the city itself, or head to Central Park. During your walk, you can always take time to go ice skating, which is a great experience! Do you want to see a musical or sports game? 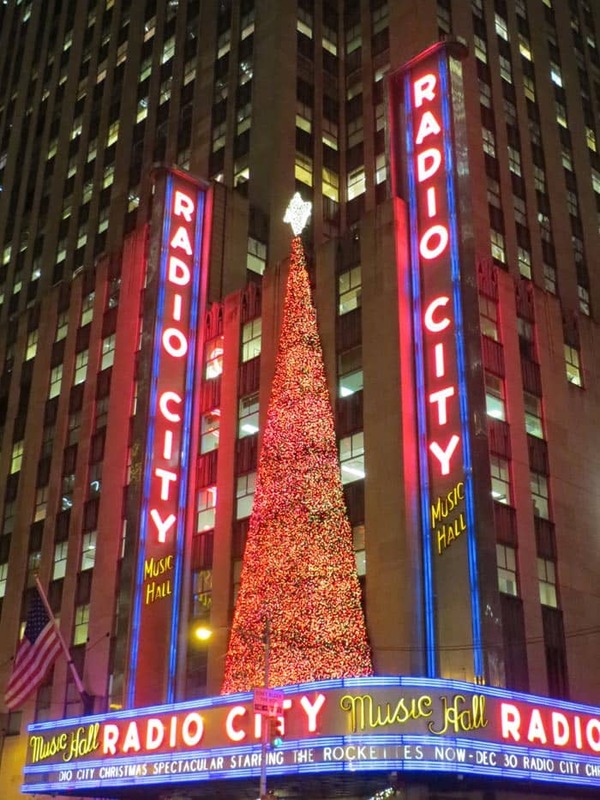 Then see the real Christmas musical, Radio City Christmas Spectacular! This is a wonderful show with beautifully dressed performers and impressive acts. Often, a basketball game is played at Christmas, so there’s a possibility that the New York Knicks will play on Christmas day in New York. If you want to enjoy a nice dinner on this festive day and, at the same time, admire the beautiful skyline of Manhattan, I recommend the Christmas Day Brunch Cruise. In addition, there’s an option to book premium tickets for this cruise, which then gives you access to the outdoor top deck. Note: The Statue of Liberty is closed on Christmas Day.